What do Hitchcock’s Rebecca (1940) and Welles’s Citizen Kane (1941) have in common? Quite a lot, it seems to me. And yet, in all my reading on film, I have run across only one brief speculation on the subject: Andrew Sarris’s, in the context of his rebuttals to Pauline Kael’s Kane articles. Both films, to begin with, deal with the search for a hidden secret in the life of an important man, and both use a flashback framework as means of narration (though Rebecca maintains a single point of view through most of its story, while Citizen Kane crisscrosses the memories of several characters in a network of flashbacks). Both films are informed by the presence of a dead person, though Charles Foster Kane is the central character in Welles’s film, while Hitchcock’s title character never appears. Nevertheless, each film’s ghostly presence is signaled by the recurrent motif of an initial-monogram, ‘R’ and ‘K,’ respectively. In each film a scandal—hushed up in Rebecca, headlined in Kane—attends the end of the important man’s first marriage, and overshadows his second marriage to a “common” woman. *The titles. The main title is formed out of newspaper cuttings. 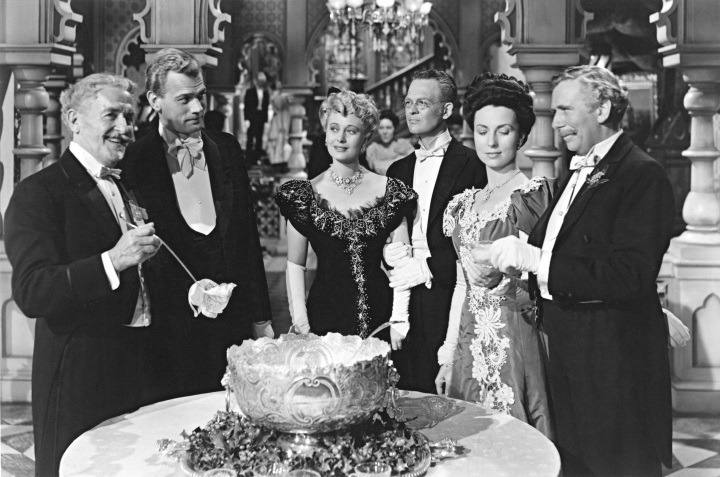 The cast is introduced in order of appearance, each seen in a subsequent shot from the film. Various other shots are seen now, to be repeated in context later. Orson Welles’ Touch of Evil (1959) is now celebrated as a masterpiece, but the version released in 1959 was not the film that Welles had intended and it was largely dismissed as a glorified B-movie. It had been for Welles one last attempt to make films inside the studio system and he brought the film in on time and on budget. Yet Universal thought that his labyrinthine nightmare of a crime movie was too dark and confusing for audiences and took the editing from his hands. Welles’ famous fifty-eight-page memo (which became the basis of a 1998 revision undertaken by producer Rick Schmidlin and editor Walter Murch) was politic, polite and even supportive of some of the changes made by Universal’s editor as it made the case for editing refinements. Welles played by the rules right to the end, attempting to work with the producers rather than fight them, but it became clear that Hollywood simply did not want the kinds of films that Welles made and he left for Europe. Never again did he work with the budgets or the resources of a major studio production. That was his trade-off for creative control. 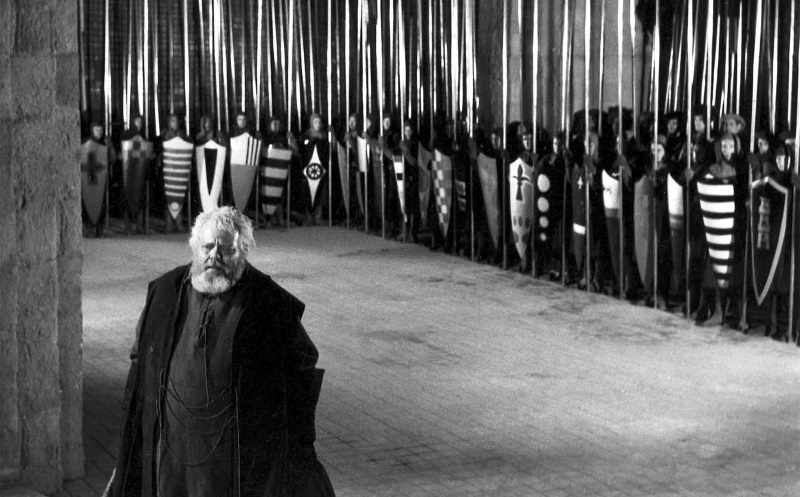 The Trial (1963) was not Welles’ first project after Touch of Evil—he started shooting Don Quixote in Mexico and Spain and made a series of documentaries for Spanish TV—but it was the first film he completed after leaving Hollywood. 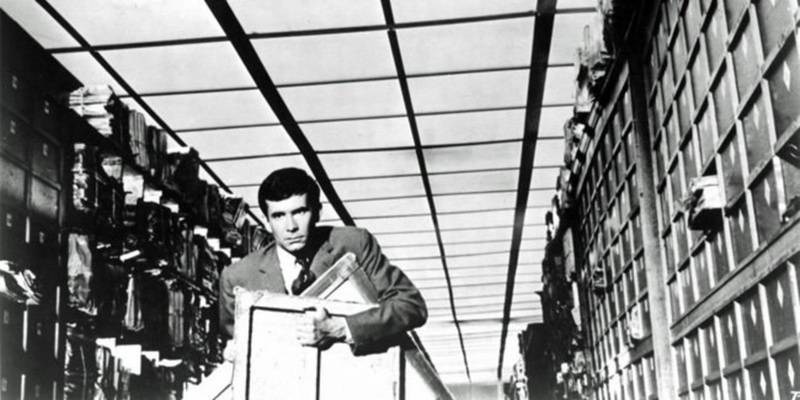 When handed the raw materials from an unfinished documentary about Elmyr de Hory, an art forger whose life was being written up by biographer Clifford Irving, Orson Welles took the opportunity to make something far beyond the concept of the traditional documentary. 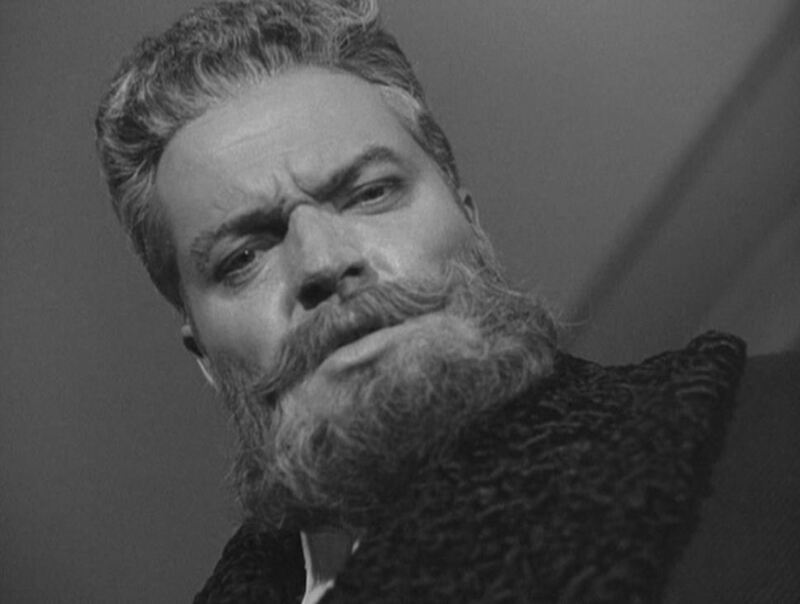 F for Fake has been called the Orson Welles’ first essay film, a true enough statement if you limit the accounting to feature films, but he had been doing short-form non-fiction since 1955, when he made Around the World with Orson Welles (a.k.a. Around the World) for British television. 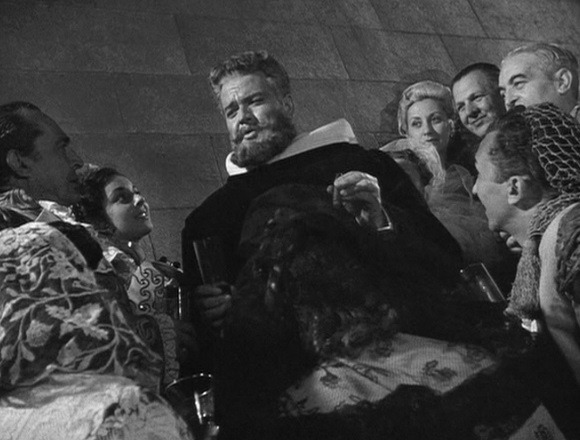 It was ostensibly a series of travelogues, shot on location with Welles as tour guide, host, and narrator. Welles himself described them as “all sort of home movies—a vacation documented…,” but these are sort of home movies that only Welles could make. They are built on Welles’s public persona as much as on his directorial personality. He is “as always, obediently yours,” the worldly yet personable host who casts a spell with his voice, disarms with a boyish grin and invites the audience into his confidence as he tosses out cultural observations and historical asides. 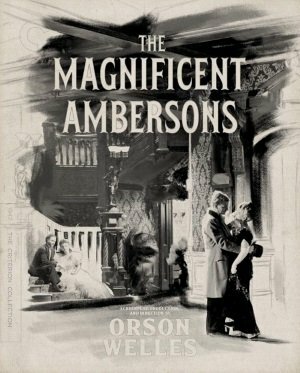 There are more published books on Orson Welles than on any other film director past or present. The above statement is based on my own anecdotal, far-from-exhaustive and thoroughly unverified research, mind you and yes, it’s possible that Alfred Hitchcock tops him (if so it’s a close call), but why let the details get in the way of a dramatic statement? Welles certainly didn’t. Maybe that’s one reason for so many books—there’s so much myth behind the man. There’s also so much career behind him. Welles made his name in theater and radio as a director, writer, producer and actor before coming to Hollywood, and he had a fascination with complex, contradictory characters who shaped their public images. His debut feature was built on the struggle to find the “key” insight to explain the character and motivation of a public figure and discovering a multiplicity of facets. Welles himself spun fictions around his own story, creating an aura of myth around the “boy wonder” genius that was taken for fact by many critics, while Hollywood (through gossip columnists and trade papers) created its own story: the “failed” genius who defied the system and was brought low by his own hubris. For most of his life, writers were content to print the legend(s), but there was is grist for multiple takes on his life and art in separating fact from fiction alone, never mind challenging clichés and preconceptions that have settled into common knowledge. Now I should confess that I am somewhat obsessive when it comes to Welles. I own more than fifty books—biographies, studies, monographs, scripts, essay collections—on Welles, and that’s far from a complete accounting. For the vast majority of folks interested in delving deeper into the life and career of Welles, however, one book will suffice, at least as a starting point. The question is where to start?